The town was settled on land that had been part of the huge XIT Ranch. In 1910 or thereabouts several families bought small parcels from the ranch. They built their homes within a ten-mile radius of one another – pretty close by West Texas standards. A Russian immigrant named Geo. Bippus donated land for a school building and the town was named in his honor. 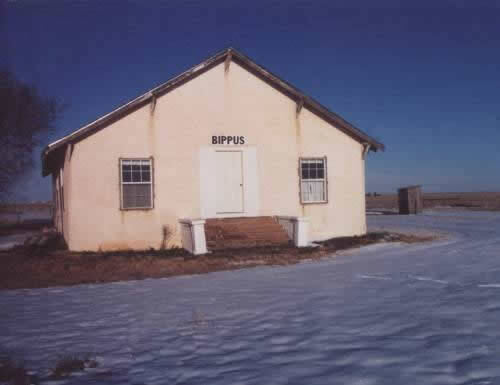 During the sweeping school consolidations across the state in the late 1940s and early 1950s, the Bippus school was consolidated with Walcott ISD. A community building was serving the needs of local residents in the 1980s according to the Handbook of Texas. Anyone wanting to share their memories, photos, anecdotes or stories of Bippus, Texas, please contact us.